We are already in the last month of December and 2018 is just a few days away. As people have anxiously started for the arrival of Christmas and the New Year, they are also busy searching for the current trends that will carry the day in the upcoming year. But what about the mobile design trends that also keeps changing similar to the world of fashion. In fact, the designs pertaining to mobile apps is constantly under the process of modification owing to the demands and growing competition. Strictly speaking the user expects something out of the blue when he downloads and installs an app. And if he does not find that exceptional feature, you know what happens the very next moment. Your app loses the battle, resulting in the decline of ratings and reviews. According to a survey about 53% of the users abandon the app because of slow download and that is because of fault in designing methods. Of course, you want customers to keep on moving and there is no way out to impress them through innovative UI and UX designs. 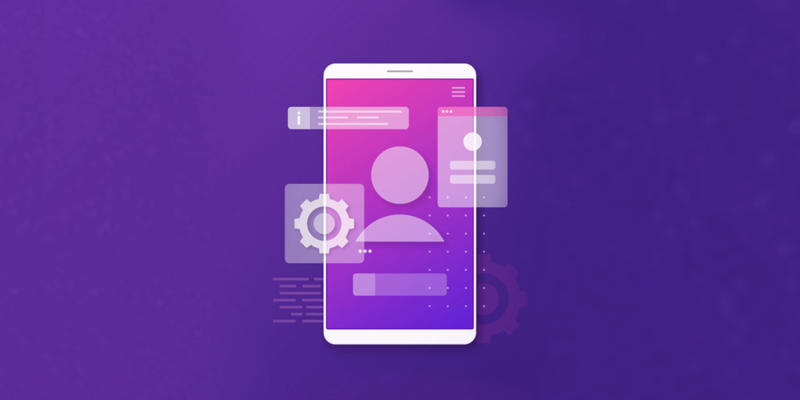 So, as an app developer you have to first acquaint with the latest designing trends that will bring a formidable change in the future of mobile designs. Don’t be under the misconception that your app is slowing down due to technical reason, but the complex designing strategies can also lead to create confusion. Therefore, try to keep things simple and straightforward without doing too many experiments. The similar tactics needs to be employed when making a selection on the color scheme. The developer at his disposal has got an array of choices as far as the colors are concerned and here is imagination will be put to test. He needs to decide as which color will suitably look best and whether he should opt for light, bright or a more vibrant color. Adding the element of personalization will definitely give you an upper advantage. It becomes more effective if you are going for customized designed according to the needs of the client. However, if you conduct some research before, it will help you out in the task. You have to pick the color based on the brand image and the background of the app icon. Well you have to bid goodbye to the traditional methods of unlocking your phone using password, pin or pattern. This is because it’s time to say hello to new advanced techniques, which have not only made your phone securer but also unlocking the phone has become much easier. Recently during the grand launch of iPhone X, Apple Inc. brought forward the concept of face detection. So, if Apple is introducing this new concept, its competitors will certainly catchup to make the battle interesting. Anyways, the point is the user just has to keeps his eyes wide open and look towards the screen of the phone. Another option through which you can unlock your device is using your fingerprint. Indeed, this will also be helpful in securing the confidential and private data in your phone. Nobody will be able to access any information from your device without your permission. One can cite the example of Apple Pay, which has Touch ID. Even the process of verification will become easier and you don’t have to wait for too long. As such the Material Design is a new concept that Google introduced in the year 2014 and ever since then designing the beautiful app icons have become very easy. You cannot deny the fact that icons play an important role in influencing the minds of the users and if you want to design an eye-catching icon, knowledge of material design becomes crucial. This new concept will also guide the developers to use the free spaces smartly. And to be precise, it is the material design that will also help in choosing a perfect background and known for its flexibility. The developers will be able to add more features when developing an app and also make the application user friendly. It is extremely important to display information to the uses and in one of the ways the card based designs helps to market your app as well. With Google incorporating it into the material design, it will gain new impetus within the year to arrive. The cards are one of the effective techniques through which you can easily provide info on the small screen of any smart gadget. In fact, it has evidently become popular for navigating social media websites such as Facebook, Twitter and even the e-commerce sites where the customers can go through the product details and descriptions including its image. Therefore, it is recommended that designers focus on designing the best cards balancing the size of the text and the image. 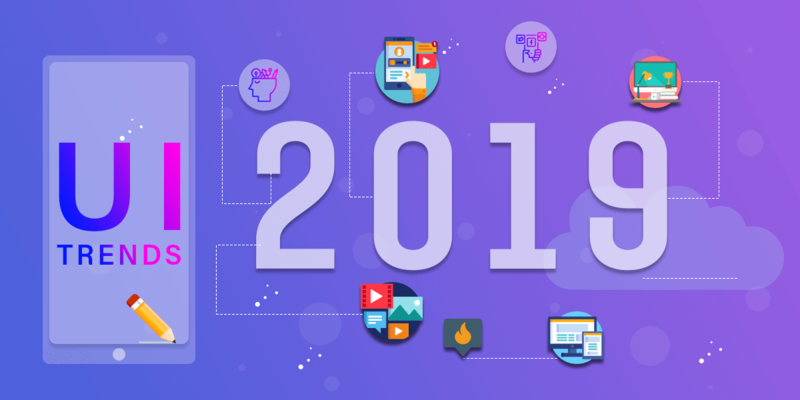 With internet getting even more space than ever before, the forthcoming year will see the rise of video based content in comparison to text based explanations. It is because of the fact that more and more users are hooked to sites like YouTube if they are looking for some information or any other tutorial. Nowadays people prefer watching a video instead of reading the text. The UX design strategy will drift with more videos getting added to cater the interest of the users. Secondly, videos can also help those people who are less educated and cannot understand the complexity of the words indicated in the text. It will be interesting to note how the Augmented Reality (AR) and Virtual Reality (VR) are going to influence the area of mobile designing. We have already witnessed the mighty success of Pokémon Go and 2018 as well as years to follow will see more advancement in the augmented reality. So, the designs need to brush up their skills and creativity.Although the arena of AR is now restricted to the gaming and the shopping world, but the launch of iPhone X has certainly opened new floodgates and more areas will be coming within its zone including medical, education and tourism. The users will view more of digital images using their advanced mobile camera enhancing the overall experience. The same thing can be indicated about the Virtual Reality (VR) as well. Although, it is in its early stages, but it is highly expected that VR videos will become more popular and various companies have started taking notable steps in this direction. VR will surely curtail the expenditure of video production and that is an inspiring factor. VR will make the product marketing much easier as it gives a wider platform to the marketers to showcase their products. You can also make a video library. The year 2018 will see another vital change as far as the User Experience is concerned; and that is the addition of the in-app gestures. Users bored of taping on the apps will find it exciting because it will allow them to drag, press and pinch on the screen. Well the gestures will also replace the buttons where the customers can view the innovations of the designers. The use of hand-play makes the UX look more real and secondly it would become faster. Each one of us likes to gain personal attention, so why leave behind the mobile designs? The element of personalization also becomes pivotal at this juncture because you have to cater the tough competition within the time to approach. As designers you need to realize the importance of customization as it is one of those effective tools that allows you to keep in touch with the users and their interests. 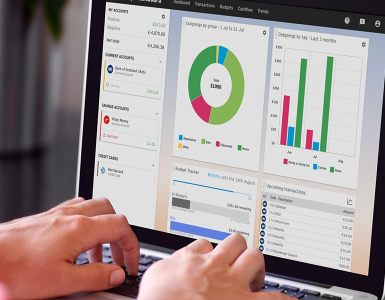 During the designing process you have to take the same route and keep an eye on the user data. Based on that you can write the codes, thus adding the personal touch. You can cite the example of Artificial Intelligence to illustrate the point. It enhances the experience of interaction using the Chatbots. 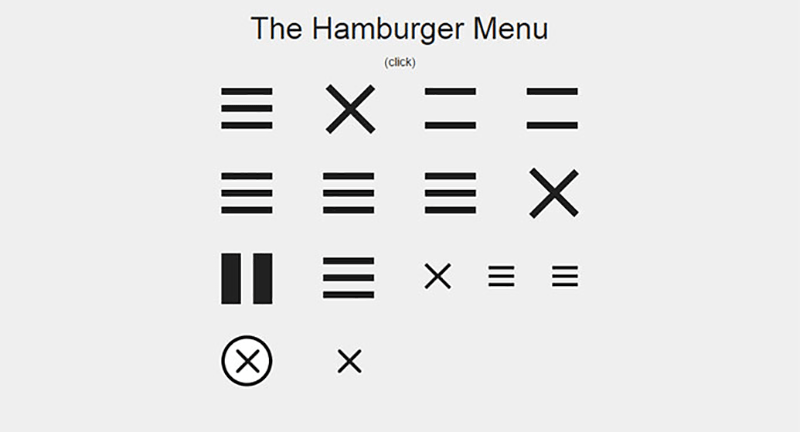 Well, in 2018 one of the popular trends is losing its ground; yes we are talking about the Hamburger Menus that are fading out slowly- the reason they are slowing the discoverability and also effecting the productivity of the app. It is being seen that people have already began to change the tracks finding out a new way to navigate the app easily. The example of Spotify can be put forward that eliminated that the hamburger menu and now the new menu can be found towards the bottom of the screen. So, from what we can conclude from the above discussion is that the forthcoming year 2018 will surely bring a wide range of new opportunities for the designers. 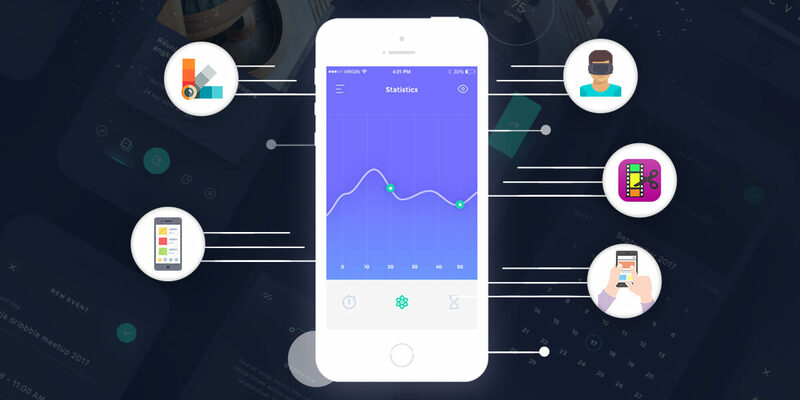 As for the part of the UX and UI designers, they are required to remain comprehensively up- to date to face the competition and also to implement these new trends skillfully and effectively to bring into practice. With time passing, the challenges will become more difficult and so you need to prepare the grounds to combat it.